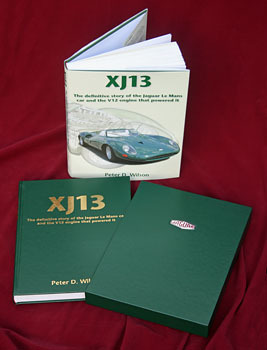 We are very impressed by this page book. 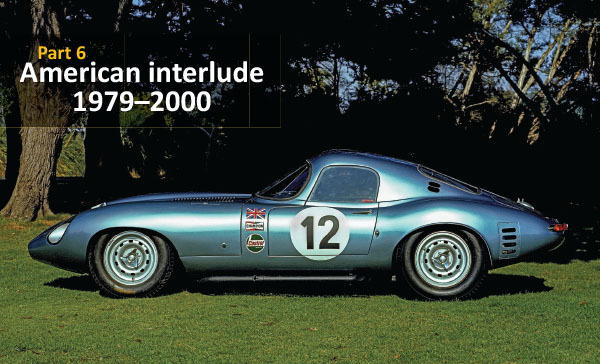 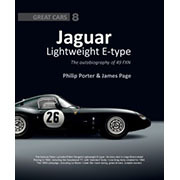 It is a comprehensive life-story of one of the most interesting lightweight E-types which was later developed privately away from Jaguar to become potentially one of the fastest of its breed. 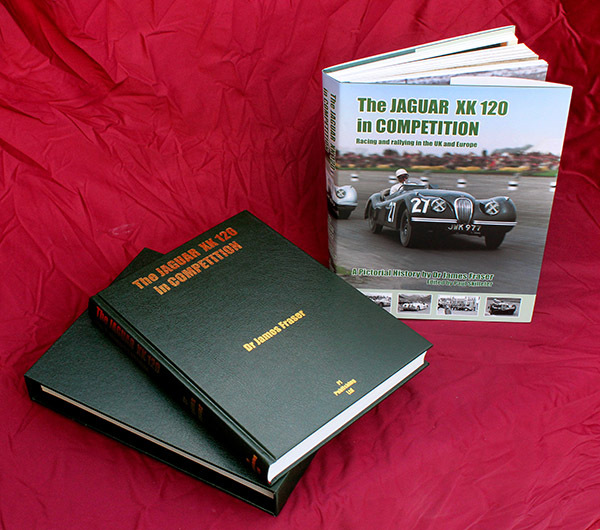 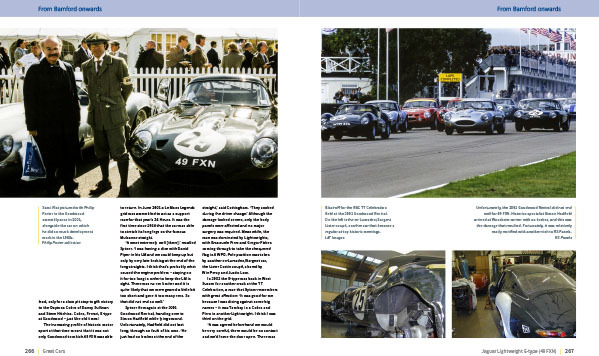 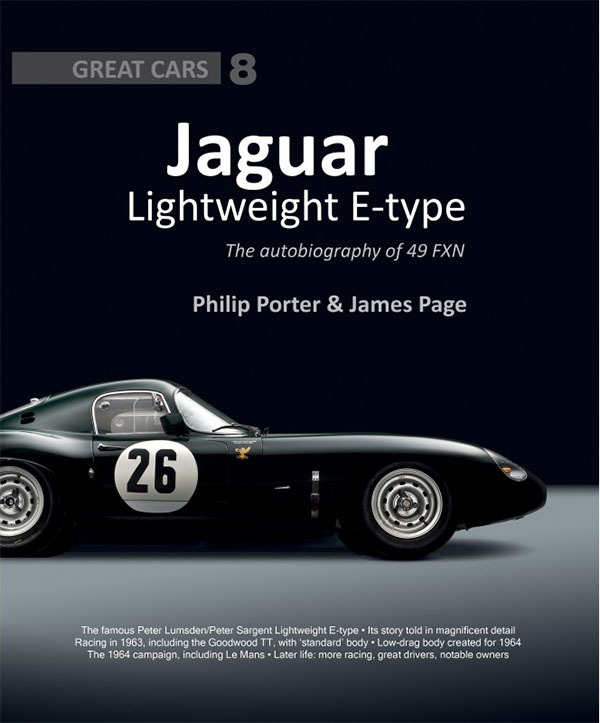 The book commences with a review of the E-type's development leading up to the 'lightweight' (a term not used by Jaguar in-period, incidentally! 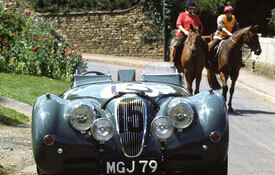 ), and the background to owner drivers Peter Lumsden and Peter Sargent. 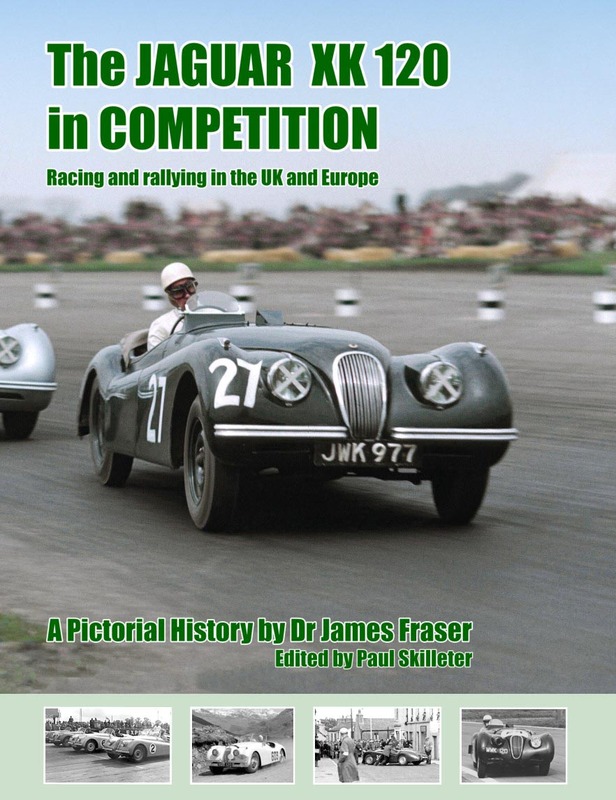 Both are happily still with us and, along with aerodynamics expert Dr Samir Klat, were able to add their personal reminiscences to the detailed research undertaken by authors Philip Porter and James Page. 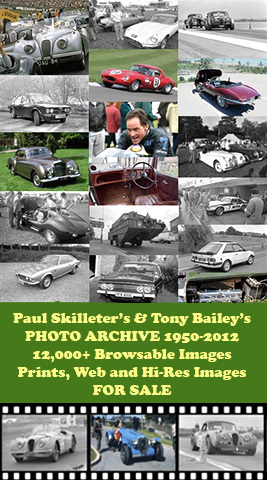 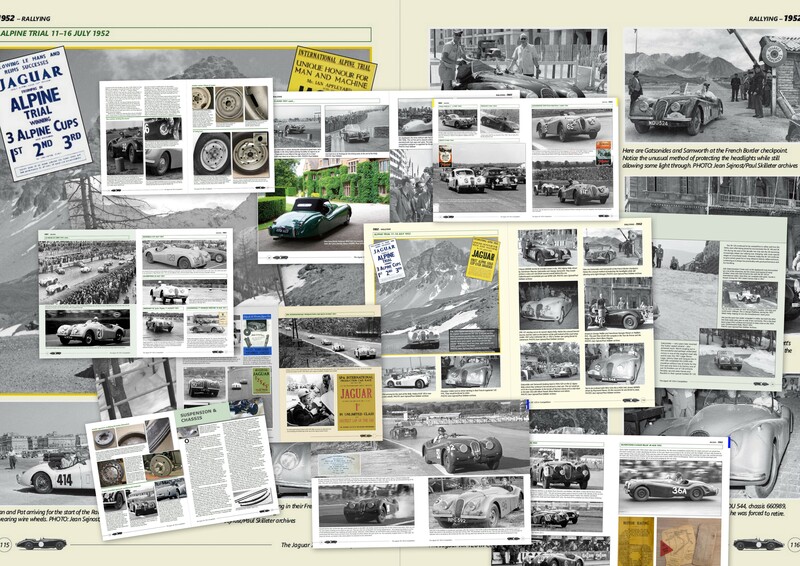 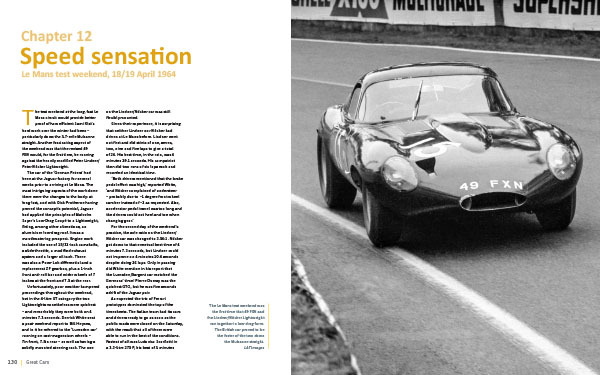 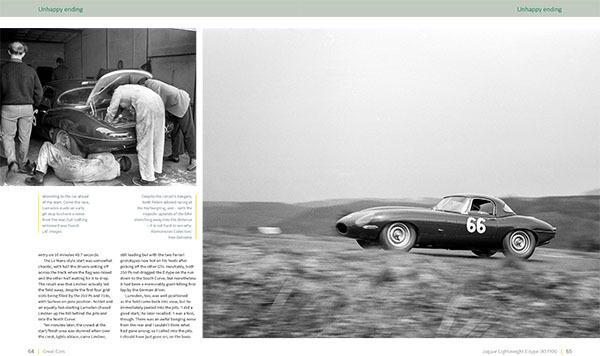 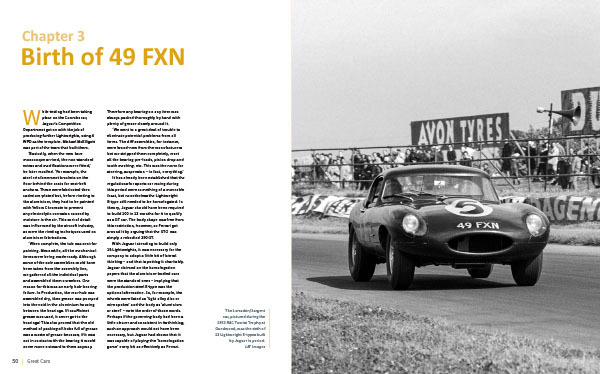 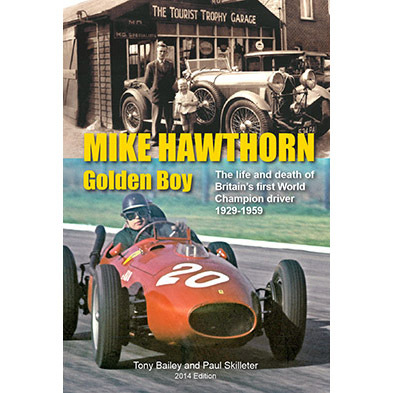 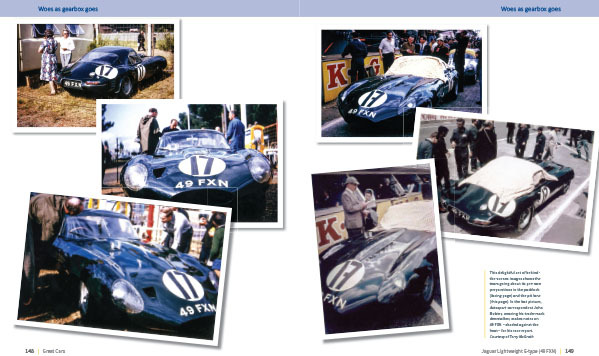 Augmenting the detailed text covering the car's racing career from 1963 to date are several hundred high-quality period photographs from some of the world's best motor sport archives. 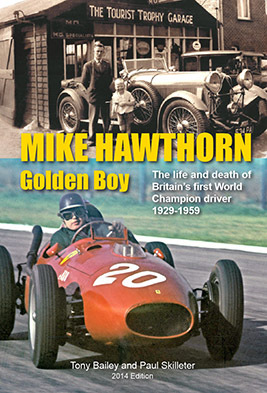 Many will be unfamiliar to the reader and are well worth the admission price on their own!